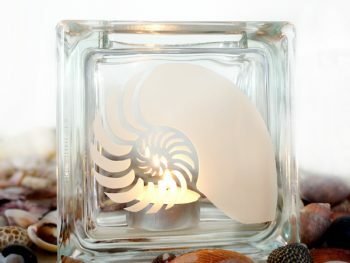 Light up your bridal shower or wedding reception with these personalised etched tea light candle holders. 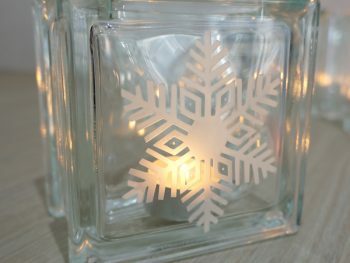 Perfect for table decoration, they provide a pretty accent to a table centrepiece or as a favour or bonbonniere for your guests. 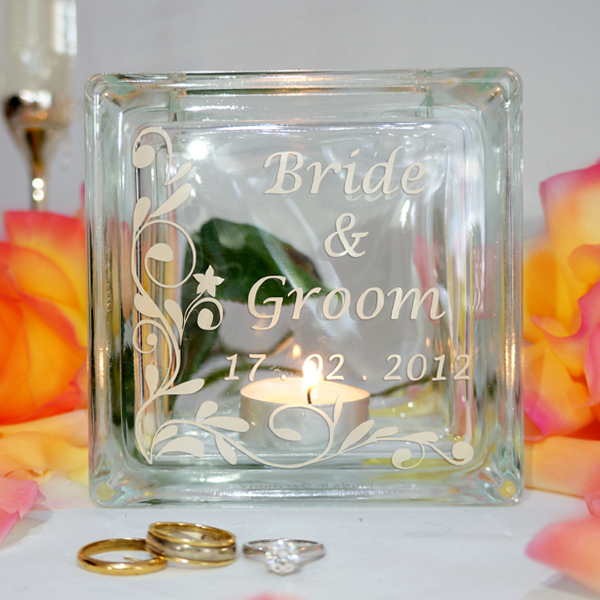 These can also be a lovely, personal gift to for the soon-to-be wed couple or as a keepsake to remind you of your special day. 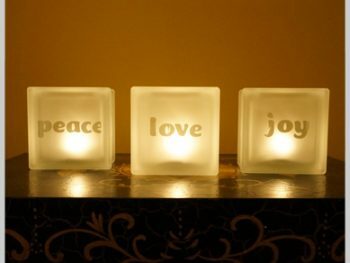 Available for purchase separately, or buy in bulk boxes of ten for a discounted price. 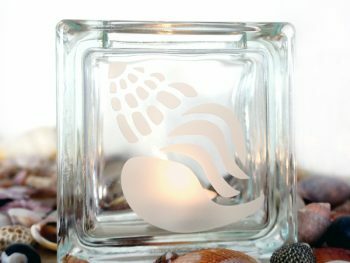 Our tea light candle holders are made from sparkling, clear German glass blocks which are individually hand etched in our workshop. The glass is robust and resistant to damage and heat. There is no risk of the glass shattering or cracking from heat as the material is fire-rated for 60 minutes in temperatures over 900 degrees Celsius. They are dishwasher safe and any marks not removed in the wash on the etched designs are easily cleaned with acetone or nail polish remover.